Healthy Sandwich Alternatives - Lunch Box Ideas! 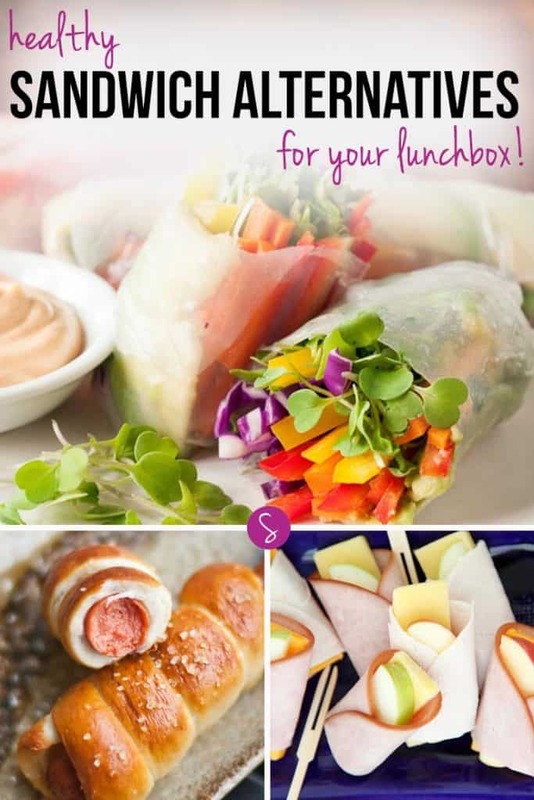 Home > Recipes + Food > Easy Lunch Ideas > Healthy Sandwich Alternatives: Lunch Box Ideas the Whole Family Will LOVE! Don’t get me wrong, there’s nothing wrong with a sandwich. But if you find yourself getting bored of the whole “what topping shall I put on my bread today” debate it’s time for something new. Which is why today we’re rounding up some delicious healthy sandwich alternatives: lunch box ideas the whole family will want to eat! 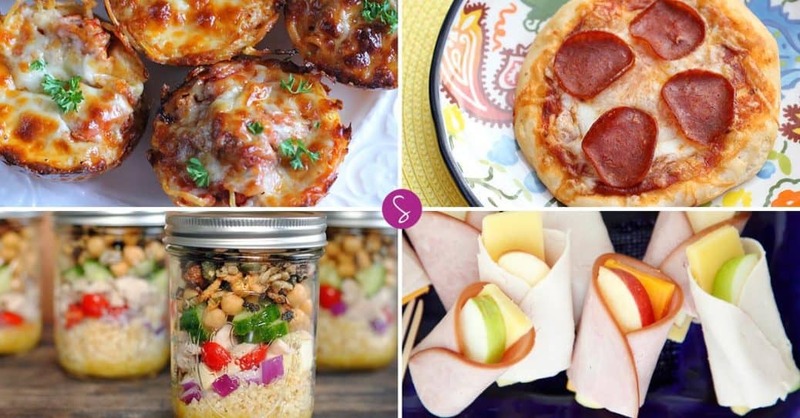 Healthy Sandwich Alternatives: Lunch Box Ideas You’ll LOVE! 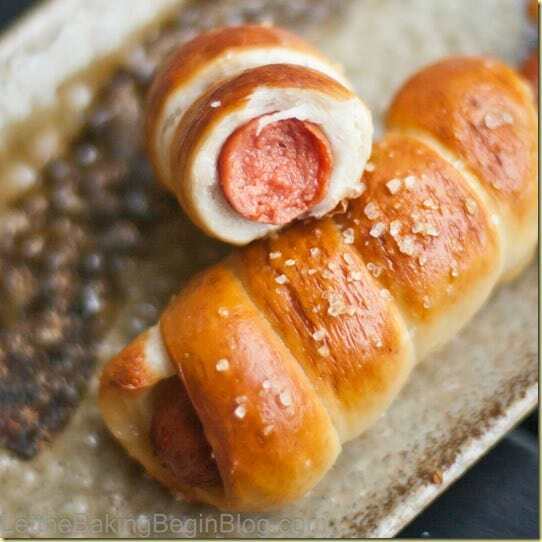 Pretzel Dogs – Got a picky eater? Try these pretzel dogs in their lunch box and I bet they ask you to make them again for the next day! 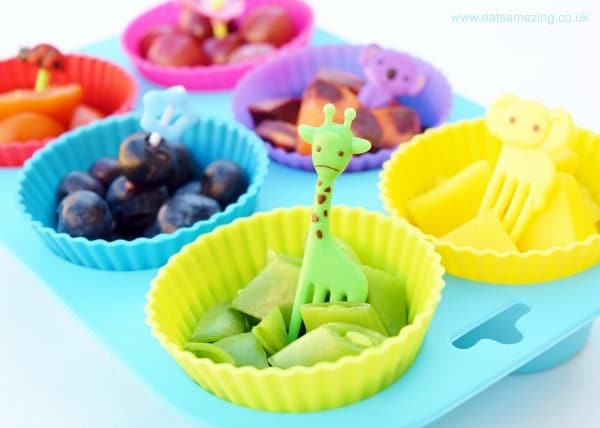 Rainbow Food Idea for Picky Eaters – Here’s another great no bread lunch idea for picky eaters, because who could refuse such a brightly coloured tasting plate? And how cute are those little animal sticks? 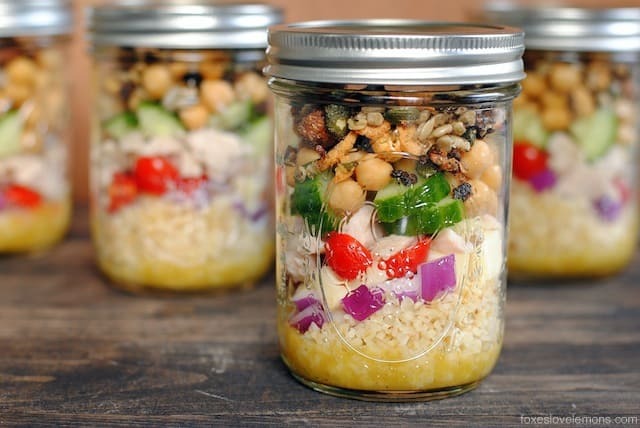 Chopped Salad Jars with White Balsamic-Dijon Vinaigrette – You don’t even need a lunchbox when you make your lunch in a mason jar! This chopped salad is packed full of nutrition to keep energy levels up during the afternoon. 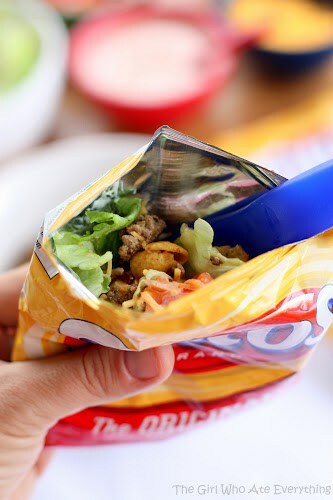 Walking Tacos – This walking tacos concept is pretty genius because you just throw all the ingredients into the packet with the chips! Oh and don’t forget a plastic fork! 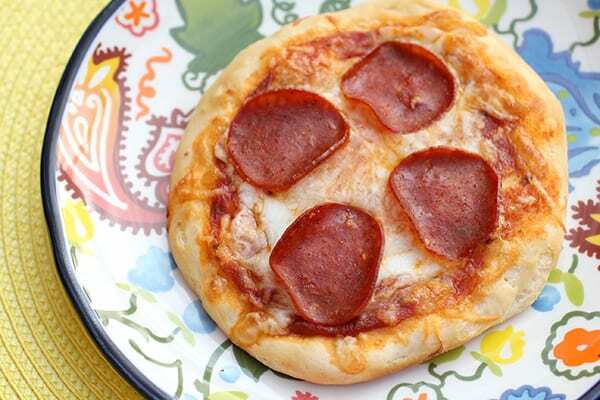 Mini Biscuit Pizzas – One of the best things you can do to encourage a picky eater to eat is to get them to help you out in the kitchen. These mini pizzas are made using a biscuit dough and they are as fun to make as they are to eat! If you need more ideas for your children’s lunch boxes check out our back to school lunch ideas. 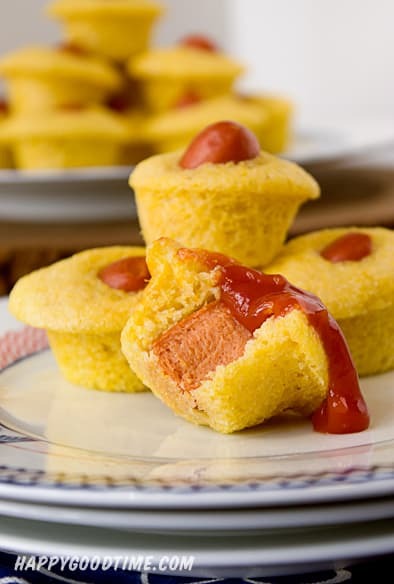 Corn Dog Mini Muffins – Muffin tin meals are perfect for using as sandwich alternatives for lunch. This mini muffin corn dog is perfect for a child’s lunchbox! 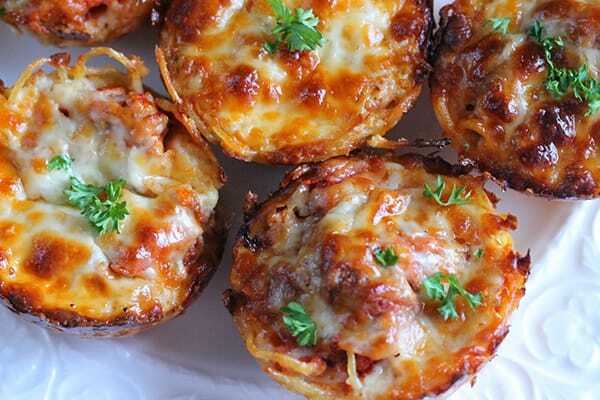 Spaghetti Pie: Meal in a Muffin – Next time you make a spaghetti casserole for dinner double up the recipe and put the rest into a muffin pan to use in lunch boxes or even as an after school snack! 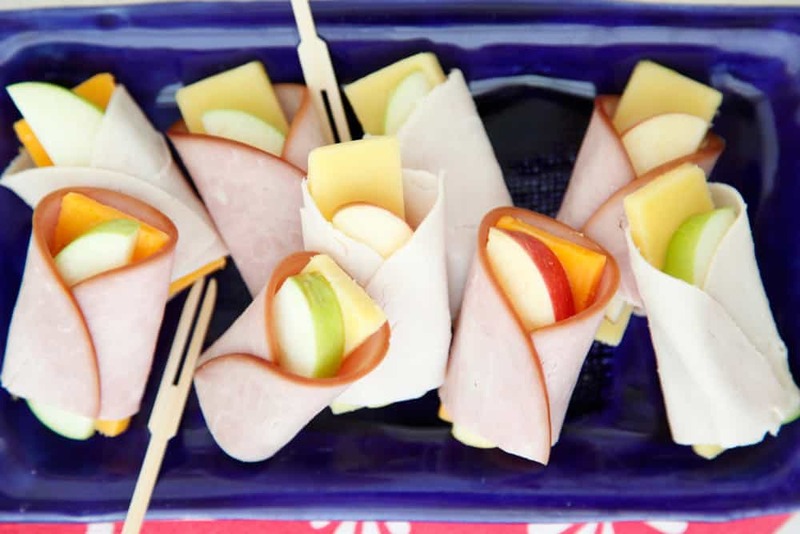 Apple Cheese Wraps – You don’t need bread to make a wrap, just use ham or chicken instead! 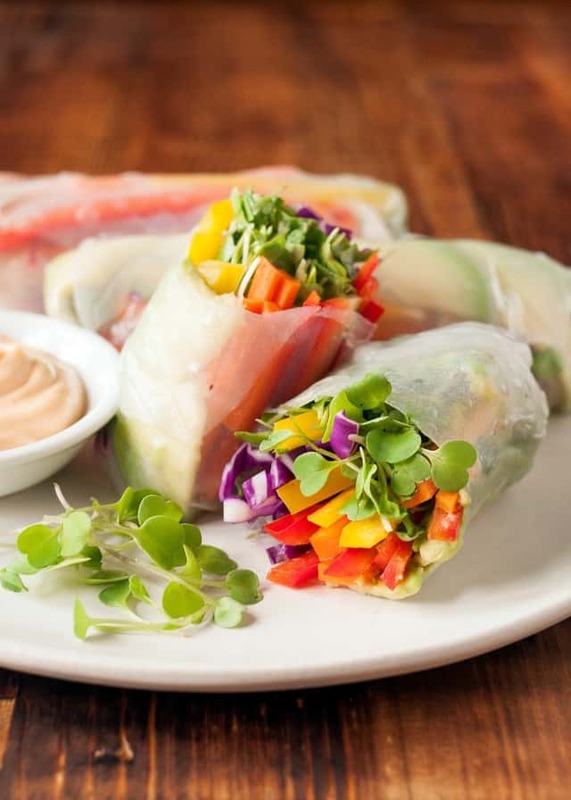 Recipe: Rainbow Vegetable Spring Rolls – These brightly coloured vegetable spring rolls look delicious, and you can prep the veggies on the weekend to save time! Classic Hummus Recipe – Hummus is perfect for a healthy lunch box, just add some chopped up raw veggies and use it as a dip. 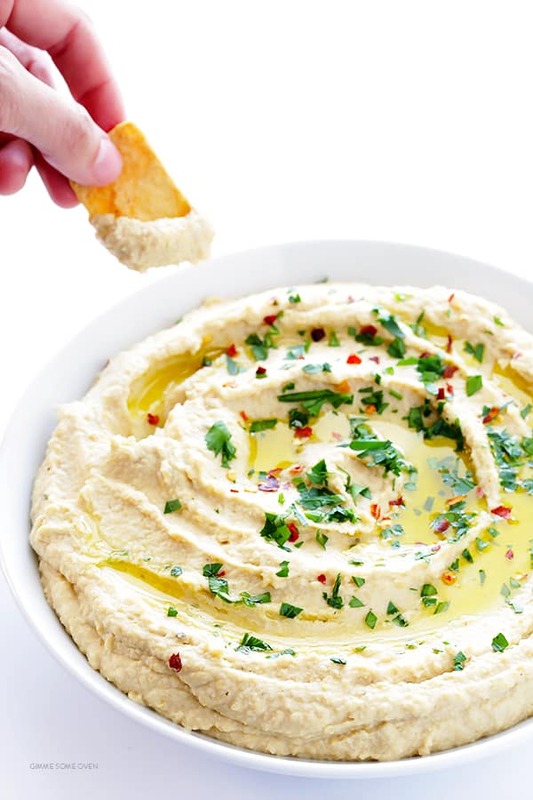 If your family loves dips we have a whole collection of homemade hummus recipes right here! Follow our Lunch Ideas for the Whole Family board on Pinterest. If you’re looking for healthy sandwich alternatives because you are following a gluten free diet please take a look at our gluten free easy dinner recipes!